18K WHITE GOLD. 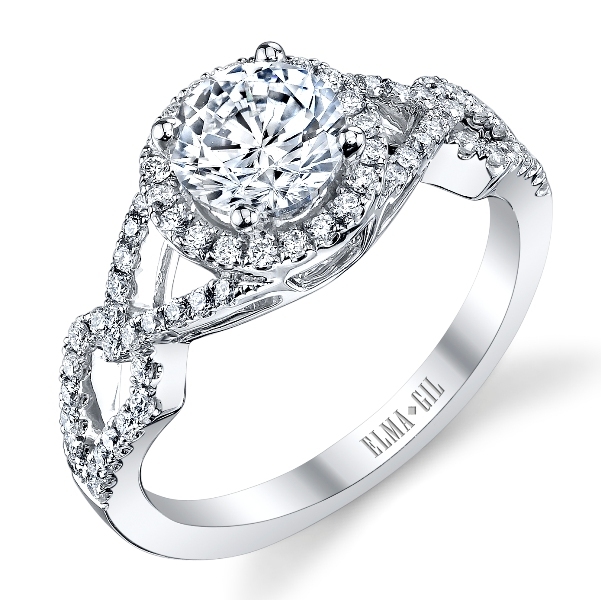 A HALO OF DIAMONDS SURROUNDS THE CENTER STONE. THE NEGATIVE SPACE ON THE SPLIT SHANK LENDS A LACY LOOK TO THIS STUNNING ENGAGEMENT RING!